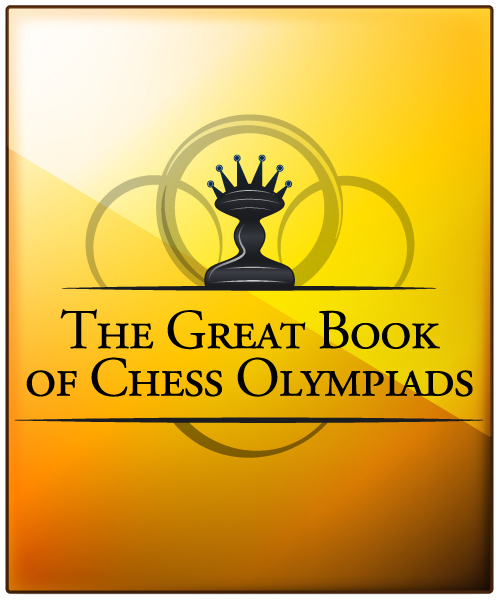 On the author’s and publisher’s behalf we can begin with pleasure, the first blog thread about the cycle of production and publishing of The Great Book of the Chess Olympiads. Let’s explain to everyone at the beginning the basic principles underlying the sources of this unique enterprise and in what way they explain to us why, when, how and for whom the Great Book of Olympiad is being created. What is the Great Book of the Chess Olympiads? They are series of books, which are unique in the world class attempt of the full reconstruction of Olympic events in chess, from the official Olympiad in 1927 until today. The book is split in the parts which relate to stories of particular Olympiads. There have been 40 Olympiads. Almost 13 years have passed since this work was started and the author made a decision about, beginning and publishing his work. I hope that it will be an interesting book for all people who are interested in chess and who desire to go through the Olympic emotions again. What will I find in the Great Book of the Olympiads? Imagine that you are observing Olympic combat, round after round. You look at competitors, you recognize up-and-coming stars and you identify the old masters. You are near the chessboard when there is something fascinating happening on it. You know exactly why the master Kalabar loses after the fourth move, and what happens when the best chess players lose five games in a row – will they do better?… You can see dramatic situations in the next to last round, when the pursuit for leadership finishes as a success, however … there is one round left and anything can happen. Can you guess what this book is about? It is just a story which is being told from the perspective of the narrator who is there in the present. He is an enthusiast who quotes games, diagrams, tables, statistics, photos, sketches and everything that can be introduced into the atmosphere surrounding those days. What else can favor those series? The first of all, we can’t compare this series to any other work because nobody took on the task of writing down the history of the Olympiads on such an impressive scale. All available games, which were played during the Olympiads were played back, cleaned from errors and completed. Some of them were improved with the help of competitors. All tables, charts of players, results of players, were reconstructed. Due to that the series tell us different individual and team statistics, which show the interesting aspects of a tournament. For example the actual power in the game of particular players. They paid attention to the correct spelling of the names of the competitors. In every work, there are included generally available photographs, and also unique photographs and information which are unavailable today because their sources disappeared, or were closed down. More information will be published on the websites of this blog for you to read.